Have you ever received a message on your phone from someone special but weren’t sure whether the text represented their true feelings? It’s this kind of problem that Animo is trying to solve with its new i-mode service Email Truth Checker which is similar to the Feel*Mail handset function I posted on yesterday. To use the service, you choose your gender and the relationship between you and the person whose message you want to analyse (you can chose from partner, crush, superior, family etc.). After you’ve uploaded the message in question, the system analyses the language used and rates the authenticity of the feelings expressed. A coalition of government, industry and research organizations in Japan has proposed the adoption of a common platform based on Public Key Infrastructure (PKI) authentication for higher security on mobile-phone networks, bypassing ID- and password-based security. The group announced that it has developed the technology with the aim of providing a common platform for secure mobile-phone communications in Japan. The group comprises the National Institute of Information and Communications Technology (NICT), the mobile IT Forum (mITF), Hitachi, NTT Docomo, KDDI R&D Laboratories and NEC. Hitachi, Docomo, KDDI and NEC have been working for three years to develop the mobile-security technology, funded with about $5 million from NICT. Oki Electric has announced their ML7257 [.jpg here] base band LSI which incorporates voice and data communication functions in a single chip. OKI succeeded in including the three types of modulation and demodulation functions defined by W-OAM, as well as all the voice compression functions in a single device. Thus, power consumption is reduced to two-thirds that of conventional DSP-based software solutions. For the CPU core, the LSI uses ARM7TDMI, which is used in many mobile phones and PDAs around the world because of its high-performance, low power consumption and high-code efficiency. DoCoMo's recent introduction of new handsets included the D800iDS from Mitsubishi with an innovative dual touchscreen design. The handset manufacturer has just announced a competition for developers to create new applications for the device with prizes of LCD TVs and DVD recorders on offer. Mitsubishi will provide 30 selected entrants with a software simulator for the D800iDS until its launch and a loan handset once it goes on sale in February. 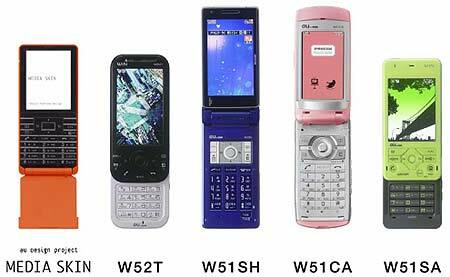 KDDI announced their spring 2007 handset line-up this week with ten new 3G models focused on form and function. The latest addition to their Au Design Project, the Media Skin concept by Tokujin Yoshioka, was introduced along with this announcement that it will go on display with earlier offerings - the Infobar, Talby and Neon - at the Museum of Modern Art in New York. 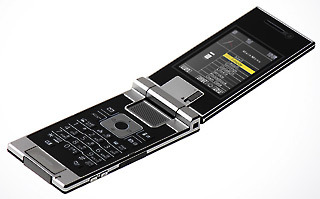 DoCoMo today announced the development of new 3G FOMA handsets - the 703i-series plus the D800iDS and SO903iTV. The 703i-series consists of eight models: N703i, P703i, D703i, F703i, N703iD, P703i, SH703i and SO703i. Most of the models are extra slim, with the N703i (image at right) and P703i being the thinnest 3G clamshell handsets in the world, at 11.4mm each, as of 15 January 2007 (and according to the company). Our Wireless Watch Japan Web Video Triple Play article posted 10 November has a quick shot of Natsuno-san with these new extra-slim handsets. Strapya has an extensive collection of charms to attach to your ketai including one called Revolve Game which has pinball, space hockey and car racing (to name a few) all packed into a 55mm x 40mm micro package. The unit runs on two LR44 batteries and has an auto power-off function that shuts down when idle for 3 or 4 minutes. It comes in 10 colors and has 99 levels of play - on the black & white screen - for only 680jpy. 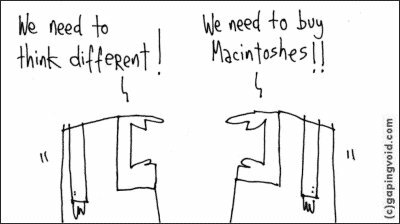 Has Apple Started a Mobile Computing Revolution? KDDI announced new handsets and services this week for their Safety Navi series, originally introduced in 2005 and improved January 2006, targeted at the the family / youth market. This latest line-up addition includes 3 new models; the Sanyo A5525SA, Toshiba's A5523T and a so-called Sweets Cute (also by Sanyo), plus several new advanced GPS offerings. One example shows the progress of a users location through the day - using data collected each minute - plotted on a map and viewed by parents or gaurdians with authorized access on mobile phones or PC's. The company also announced something that roughly translates into Automatic Photo where remote requests can be made for the handset to take and send a picture! Nanosys, Inc. and DoCoMo Capital, Inc., a wholly owned US subsidiary of NTT DoCoMo, Inc., announced they have entered into an exclusive collaboration agreement to develop Nanosys' nanotechnology platform for potential product opportunities in wireless communications for mobile telephone applications in Japan. Under the terms of the agreement, NTT DoCoMo and DoCoMo Capital will fund development efforts at Nanosys and NTT DoCoMo. In addition, DoCoMo Capital announced its equity investment in Nanosys. Financial details of the agreements were not disclosed.